Hello guys! How are you? I hope fine! So today I came to talk a little bit about a online store called YOINS. Maybe couple of you already saw this name around the internet. If not today I will talk a little bit about them. They are a fast fashion online store, where you can find a lot of different styles and get to one that match yours. They always bring new products and collections. The store contact me to send me some samples of their products, so I could know them better and share with you guys what I think about it. I could choose what I want to do the review, so I got 2 pieces: 1 jumpsuit and 1 chocker. I actually choose them to be able to wear together, and actually works really good. Below are some pictures and the review about the products. The quality of the fabric is really good, is tick and the touch is nice. It fits how I expected (I got size US 6, and I’m 5.8″ tall). The product looks exactly like the picture on the website. 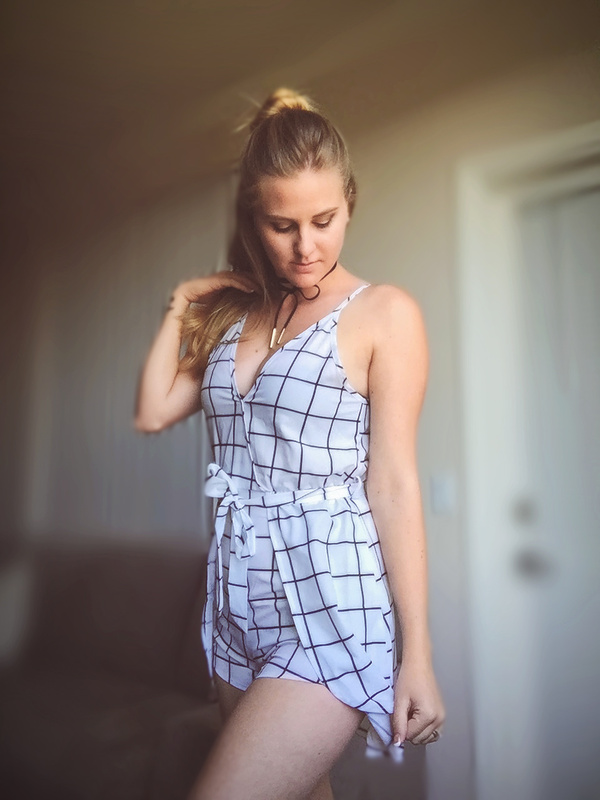 This jumpsuit you can use for go out with friends, go to a happy hour, something more casual. When used with high heels it can totally be used to go party with friends. Perfect for a different occasions, it’s up to you decide how do you want to use this piece. And also, I choose to use the jumpsuit with a chocker that I got from YOINS too (and is the next product review), because it totally goes together. This chocker is a easy match item that you should have on your collections of necklaces. The quality of this cocker is just amazing. The size is perfect, not too long and not too short, just what you need. I never thought I was going to love so much, but is just a thing that make total difference to your look. Just go for it with no fear, you will look great with this cute chocker. My final review about the online store YOINS: I really liked, they delivery pretty fast, they have a worldwide shipping and also give you the track number to you follow you package. The products have a really good quality for a good price. Totally recommend this online store. I hope you guys liked to know a little bit more about YOINS.